N,N-Dimethylglycine or DMG is a natural amino acid that plays a critical role in supporting health, vitality and wellness in the body*. Our bodies produce this vital nutrient naturally, but in a world of high stress and heavy demand we don't produce adequate amounts of DMG. By taking supplemental DMG you provide your body with the support to the stresses of today's world. Athletic Performance - DMG supports oxygen utilization, decreases lactic acid buildup, encourages greater endurance and stamina as well as better muscle recovery after strenuous exercise*. Cardiovascular Health - DMG supports normal cholesterol and triglyceride levels, improves circulation, supports healthy blood pressure and homocysteine levels and helps combat hypoxia (low oxygen levels)*. Immune System Support - DMG supports the immune system by promoting B-cell, T-cell and macrophage activity. It can help support the body's resistance to infections*. Liver Function - DMG acts as a methyl donor, detoxifier, and supports Glutathione and SAMe production. It defends the liver and the rest of the body from toxins*. Neurological Functions - DMG provides important building blocks for the synthesis of neurotransmitters and hormones. It supports energy production for the brain and may be beneficial for those affected by seizures*. Anti-Stress - DMG helps the body cope with physical, emotional and metabolic stress by improving oxygen utilization and supporting the immune system when being challenged*. This is why you need DMG! Dr. Roger V. Kendall, Ph.D., is considered to be the leading expert in the biochemistry and health benefits of DMG. He has spent over 30 years conducting research on this vital nutrient and has established DMG's theraputic role as an immune modulator, antioxidant and metabolic enhancer in human and animal health. Dr. Kendall has lectured widely, and has authored numerous articles in both peer reviewed journals and leading nutritional magazines. 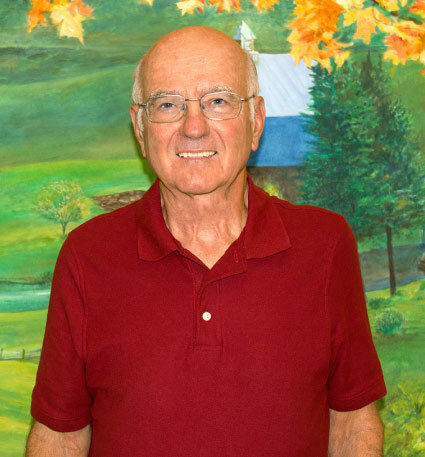 Dr. Kendall holds a Ph.D. in organic biochemistry from Penn State University, and has held teaching positions at University of Bridgeport and Ambassador University. He presently holds seven U.S. Patents and two European Patents, six of them on DMG. Dr. Kendall has compiled his research and clinical experience with DMG in his well received book entitled "Building Wellness with DMG." 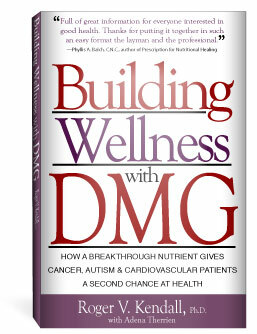 To receive your own copy of Building Wellness with DMG, please find it on Amazon.com. DMG is an essential nutrient that can provide far-reaching beneficial effects for the body from better cellular energy to strengthening the immune system. Phyllis Balch has recommended DMG in 48 different ways to support overall and well-being in her best-selling book Prescription for Nutritional Healing. This book tells the fascinating story of DMG and how this multi-functioning nutrient has the power to support overall health, enhance immune function, supply greater energy and stamina, improve cardiovascular and brain function as well as boost athletic performance. Research suggests that DMG may be one of the more important nutrients that you can use to maintain, build or restore better health and well-being*. "It gives me great pleasure to endorse this excellent and carefully referenced compendium of information on DMG." Garry Gordon, M.D., M.D.(H.) author of The Chelation Answer. "This breakthrough book of the year profoundly describes DMG as a healing nutrient, which I incorporate in my private practice and discuss on my nationally syndicated radio program." Alan Pressman, D.C., author of "The Complete Idiot's Guide to Vitamins and Minerals"
One of the principle pathways by which DMG, or Dimethylglycine, produces a beneficial effect on the body is to supply methyl groups for cellular reactions. Methylation is essential for good health, vitality and wellness*. Every cell in the body needs an adequate source of methyl groups to function correctly and efficiently. 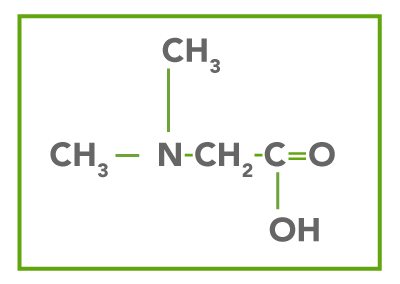 A methyl group is simply a carbon atom with three hydrogen atoms attached ( - C H3 ) and DMG has two methyl groups which it can give up to other molecules to use to complete their synthesis in the cell. Methylation is involved in hundreds of reactions in the body which involve transferring a methyl group from one molecule to another. DMG can supply methyl groups for the production of vitamins, enzymes, neurotransmitters , amino acids, hormones, antibodies and even DNA. If there is a deficiency of available methyl groups in the body then these molecules don't get made with potentially dire consequences. A deficiency of methyl groups can lead to the development of health problems in the body. Methylation is one way that the body protects itself from toxic substances, especially in the liver. Methyl groups cover DNA to protect it from free radical damage and aging. DNA methylation influences the expression of genes which controls which pathways are activated or shut down. The immune system depends on methylation to help protect the body from infections and acute inflammation. The cardiovascular system depends on methylation to reduce the risks of heart disease. The principle methylating agent in the body is SAMe ( S-Adenosyl methionine ) which can acquire its methyl groups from a number of sources including DMG. SAMe is involved in over 200 methylation reactions and therefore the body requires a large supply of methyl groups to function at maximum efficiency. Supplementing with DMG can help prevent a person from having a shortage of methyl groups*. I have a four-year-old son diagnosed with moderate Autism. We have tried numerous options over the past two years in treating his autism with various nutritional supplements, diets, therapies, etc. I had come across information regarding DMG and decided to give it a try, not knowing the proper dosage amount for a child with Autism, I started giving him 125mg daily in which I did see some direct eye contact established but nothing significant and was told by a medical professional to try TMG. I stopped TMG due to an adverse effect. I then decided to place him back on DMG but at a much higher dosage after coming across your recommended dosing for individuals with Autism. He currently is taking 900mg a day in divided doses and has made remarkable progress over the past three months since reintroducing DMG into his daily routine. I am a race walk competitor and have found that DMG has helped me to perform at my potential with greater ease than would have been expected. I really felt great out there. There was definitely more stamina for me. On November 12, I competed in the New England 10K championship. I posted my personal best time while holding off and out-sprinting my teammate who is 17 years younger than I am. I finished in 49:58 on a very hilly course. I would have realistically expected to do no better than 51 minutes. To be able to finish 60 seconds faster than expected is very significant. I found that I was able to go full out for the entire race, not needing to coast to recover over hills, which is my usual course of action. I can safely say that if I had not incorporated DMG into my racing program, I would not be the defending New England Champion at 10 kilometers. I wanted to let you know how much I appreciate you introducing me to DMG chewable with Elderberry & Vitamin D-3. I have been using DMG for several years. Before I was introduced to this product I was sick with a severe cold every winter, especially after traveling on a plane. These colds generally lasted for a good week or two. Since I have been using this product, I have not had a single severe cold and when I feel that something might be coming on I add a tablet to my daily regimen of two tablets a day. I highly recommend this product and have introduced it to several friends and family. Balch, J. & Balch, P. Prescription for Nutritional Healing. New York: Avery Publishing Group, 2000. Edelson, S. & Rimland, B. Treating Autism, Parent Stories of Hope and Success. San Diego: Autism Research Institute, 2003. Freed, W. "Prevention of strychnine-induced seizures and death by the N-methylated glycine derivative betaine, dimethylglycine and sarcosine." Pharmacology, Biochemistry and Behavior, 1985; 22: 641. Graber, C, et al. " Immunomodulating properties of dimethylglycine in humans." J. Inf. Disease, 1981; 143: 101. Graber, C., et al. "DMG as an immuno-adjuvant." Annual Meeting Southeatern and South Caroline branches of American Society for Microbiology. November 9-10th, 1979, Atlanta Georgia. Grannon, J. & Kendall, R. "A clinical evaluation of N,N-dimethylglycine and Diisopropylammonium dicholroacetate (DIPA) on performance of racing greyhounds. "Canine Practice 1982; 9(6): 7-13. Hariganesh, K. & Prathiba, J. "Effect of Dimethylglycine on gastric ulcers in rats." J. Pharm. Pharmacol., 2000;52: 1519-1522. Jones, W. "Lactic acid and DMG." The Quarter Racing Journal, June, 1988; 46. Kendall, R. & Lawson, J. "Recent findings on N,N-dimethylglycine (DMG) a nutrient for the new millennium." Townsend Letter for Doctors & Patients, May 2000. Kendall, R. & Graber, C. "N, N-dimethylglycine and use in the immune response." U.S. Patent #4,631,189, December 1986. Kendall, R. & Lawson, J. "Dimethylglycine enhancement of antibody production." U.S. Patent #5,118,618, June 1992. Kendall, R. & Lawson, J. "Treatment of melanoma using N,N-dimethylglycine." U.S. Patent #4,994,492, February 1991. Kendall, R. & Lawson, J. "Treatment of arthritis and inflammation using N,N-dimethylglycine." U.S. Patent #5,026,728, June 1991. Lawson, J. "Effects of dimethylglycine on collagen II induction of arthritis in rats." Annual Meeting of the American Society of Microbiology. October 6-8, 1988. Lawson, J. & Reap, E. "The effects of dimethylglycine on the immune response of rabbits." Clemson University Presented at the American Society of Microbiologists. Abstract, March 1-6, 1987, Atlanta, Georgia. Livine, S., et al. "Effect of a nutritional supplement containing N,N-Dimethylglycine on the racing standard bred." Equine Practice, 1982: 4. MacKenzie, C. & Frisell, W. "Metabolism of Dimethylglycine by Liver Mitochondria. "Journal of Biology and Chemistry, 1958; 232: 417-427. Mani, S., et al. "Role of dimethylgycine (DMG) in melanoma inhibiton." 9th Annual Research Conference for the American Institue for Cancer Research. Nutrition and Cancer Prevention: New Insights into the Role of Phytochemicals. Abstract, September 2 & 3, 1999. Meduski, J., et al. "Decrease of lactic acid concentration in blood of animals given N,N-dimethylglycine." Pacific Slope Biochemical Conference. Abstract, July 7-9, 1980, University of California, San Diego. Moffitt, P., et al. "Venous lactic acid levels in exercising horses fed N,N-Dimethylglycine." Proceedings of the 9th Equine Nutrition and physiology Symposium. 1985, Lansing, Michigan. Oommen, T. "Dimethylglycine: New horizon in therapeutics." Indian Journal of Pharmaceutial Science, 1998; 60(4): 189-190. Passwater, R. "Dimethylglycine update: new studies confirm DMG improves health." Let's Live Magazine, February 1987. Reap, E. & Lawson, J. "Stimulation of the immune response by dimethylglycine, a non-toxic metabolite." J. Laboratory and Clinical Medicine, 1990; 115: 481. Reap, E. & Lawson, J. "The effects of dimethylglycine on B-16 melanoma in mice" Annual Meeting of the American Soc. of Microbiology, October 1988. Rimland, B. "Controversies in treatment of autistic children: vitamin and drug therapy." J Child Neurol., 1988; 3: S68-S72. Rimland, B. "Dimethylglycine (DMG) in the treatment of autism." Autism Research Institute Publication 110, 1991. Rimland, B. "Dimethylglycine (DMG), a nontoxic metabolite, and autism." Autism Research Review International, 1990; 4(2). Roach, E. & Carlin, L. "N,N-dimethylglycine for epilepsy." New England Journal of Medicine, 1982; 307: 1081-1082. Sellnow, L. "DMG, properties and proprieties." The Blood Horse, 1987: 3855. Walker, M. "Boost endurance and immunity with DMG." Bestways, 1988: 64-65. Walker, M. "Some nutri-clinical applications of N,N-Dimethylglycine." Townsend Letter for Doctors, June 1988: 226-228. Walker, M. "Therapeutic benefits of DMG (dimethylglycine)." Health World, March 1990: 38-41. Ward, T. et al. "Dimethylglycine and reduction of mortality in penicillin-induced seizures,"Annals of Neurology, 1985; 17(2): 213.